The biggest surprise is that women struggle from water retention twice more often than men. The most common timing for swelling is pregnancy and premenstrual syndrome. If none of these reasons is yours you should analyze your eating habits. Most probably excess of food effect insulin secretion, i.e. metabolism, as a result kidneys detain sodium and fluid. Possible reasons of extra water can be hot and humid weather, as well as reaction of the body on cut or allergic reaction. These all are ways of our body to cool when overheated, fight inflammation, preserve water is case of its absence and so on. In case the reason of water retention is not a hormonal disorder we can succeed and get rid of it using simple and natural remedies even without extra expenses. Sudden transition from very low consuming of salt to very high can dramatically affect your appearance. On the contrary the opposite effect can cause decrease of salt in your everyday diet. Unfortunately this principle is not that simple as it seems to be. Interesting is that not a consumption of salt itself causes water retention or water loss. Try to follow next steps and you will reduce overall salt consuming. Do not consume canned or previously prepared food from the supermarket. Usually such products contain a lot of salt. Salt is added in order to keep such products eatable as long as it is possible. Pay attention that almost all canned food is full of salt. Reduce consuming of spices and salt during your meal. Consciously eat less than you used to eat before. The solution to continue feeling salty taste but reduce its consuming is salt substitute. 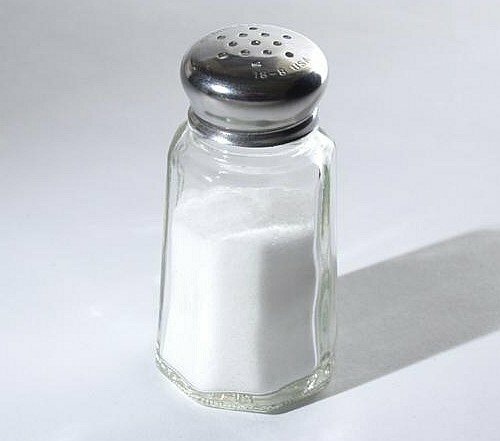 Salt substitute contains only half of the sodium chloride in comparison to ordinary salt. Do not switch to salt-free diet. You will just struggle and then after the period of salt-free products return to normal diet and get back your salt level with water retention. Eat fresh fruits and vegetables. Every vegetable contain minerals and salt in the amount we need. So we will not lose anything if we will skip adding salt when cooking vegetables. Stop serving salt when you are having a meal. Also put salt somewhere further from the oven and you will sometimes even forget to add it into the meal. These steps are not easy at all. And as soon as your habits towards salt will change you will immediately notice positive effect of incredible changes in your body and appearance. 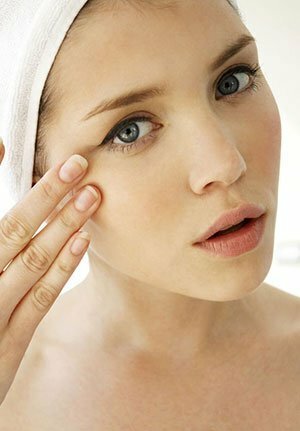 Skin will become softer and cleaner and you will get rid of water retention step by step. Warning: Sodium is everywhere, but especially big amount of it is in the frozen dinners, canned soups, salad dressings and even some cereals. That is the reason to read and analyze information on the composition of nutrients on the food packaging and select only the brand with the lowest sodium content. Keep in mind that a healthy amount of sodium per day for an adult is recommended not above 2,400 mg. The diet analysis can give us overall picture of possible water retention reasons in our body. Water can be accumulated due to consumption of alcoholic beverages, sugar (in any form) and preservatives, which are always rich in sodium. The healthier our diet is the better we feel. Let’s first observe what should be excluded or shortened from our diet. Now when we know what exactly we should skip or try to reduce in amount we should also concentrate our attention on products which are helping to get rid of extra water in the body. Natural diuretics are products which are accelerating processes in the body. Most famous natural diuretics are: watermelon; celery; red, yellow and green pepper; green tea; buckwheat; cucumber and beetroots. Food which speeds up metabolism and toxins elimination from the body: carrots, tomatoes and sprouts. Extremely powerful solution is dried apple peel covered with the boiled water. This simple drink is helping your body to eliminate extra water. Very popular and also healthy solution is once a week to arrange a day to clean the body (for example that day you only eat cucumbers with yogurt or fruits and green tea). Pay additional attention to balance of vitamins to normalize water quantity in your body. Absence of important vitamins can lead to water retention. B6 vitamin: salmon, red meat, tuna, bananas, brown rice. This vitamin also helps to normalize the digestive processes. B1, B5 and D: low-fat dairy products and fresh fruits. These products are needed for our nervous system, bones and metabolic processes. Calcium, manganese, potassium and magnesium. Biggest amount of these elements is in greens, spinach, citrus and melons. Additionally these products fight viral infections and enhance immunity. Our idea is rapidly eliminate excess water from the body without drugs. We can do it using just changes in our diet. This is the must not to forget about vitamins and include them into diet. Warning: Instead of salt you can use any other spices, lemon juice or vinegar. Hide salt and all food containing salt at least for three weeks. After first three weeks you will be surprised but all the snacks with salt will seem to you over salted and not tasty. In order to completely get rid of extra water in our body, toxins, waste and other leftovers of digestion and functioning of the body we need to keep water drinking regime. We should drink clear water of high quality regularly in amount needed for us. Juices, fruit drinks, teas and other liquids, which we are often drinking instead of water, should disappear from our everyday life. If the liquid contains sugar, honey, minerals and other natural components it is food ( not a drink). Water should enter the human body in a pure (clear) form. Some nutritionists recommend the water that has passed the cleaning process which is called freezing. Drink 1.5 – 2 liters of clear water per day. Green tea can be also added in your drinking diet. In case you consume enough of water your urine should be always clear. Follow these simple rules and very soon your body will understand that it is enough of consuming water for the body on the daily basis so that body doesn’t need to store water for the future in the tissues. In order to get clear water in the city you can use simple method of cleaning water at home. Fill few plastic bottles of water from the tap. Put them to the freezer. Take bottles from the freezer when they will be completely frozen. Unfroze water naturally without warming it up and use it as a drinking water. Very soon your body will recognize “real drink” only as clear water and it will be much easier to give up on the beverages and sweet drinks. Mineral water unfortunately is not recommended. Huge amount of salt in the mineral water will not help us to get rid of extra water in the body but on the contrary will help our body to store additional water in tissues. Warning: Do not limit yourself in amount of water you consume. Dehydration will remove few kilograms from your weight, but you can face enormous damage to your body. If you are thirsty you should drink. Your body will let you know when it needs to drink. Lymphatic drainage is a massage technique that accelerates the flow of lymph in the body. Massage of this type eliminates excess of excess fluid, removes from the body toxins and waste products. Lymphatic drainage of legs strengthens blood vessels and removes cellulite. This massage method can be made at home and also in the spa salon. Prepare natural oil or anti-cellulite cream for massage. We will massage hips and stomach. Undress and prepare yourself for self-massage. Start from hips. We will massage inner surface of hips. Movements of your hands should start from the knee and going up. First 6-7 movements should be done with the gradual increase in pressure. Next 6-7 movements should be implemented with weakening in pressure. Do not press too hard. You should feel very pleasant movements. Now we will move to stomach. Use your fingertips to move in the spiral motion from the navel. Technique of lymphatic drainage is simple and procedure is more than easy to try at home. It will take about half an hour. Try this method instead of watching TV and your body will show you positive results very soon. Usually it takes 12 procedures every second day to notice quite significant results. Start from the forehead. Perform multiple stroking movements from the center of the forehead to the temples. 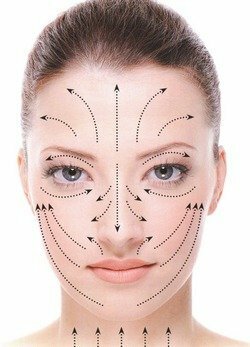 With the help of pads of middle fingers perform massage movements around eyes from nose to the temples and from the temples along the eyebrows to the nose. Cheek massage is carried out in three aloud directions. Possible directions: from the center of the chin to the end of the lower jaw, from the corners of the mouth to the ears, from the upper lip to the temples. Along these lines implement smooth quiet movements with pads of forefingers. 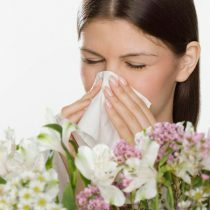 Nose massage and area near nose is performed by pressing resiliently these areas with fingertips. The last stage of the facial lymphatic drainage is chin massage. Put thumbs in the center of the chin and stretch them to the ears. Related: How to Prevent and Treat Backache Doing 4 Special Exercises? for the face. All the movements are carried out with a very light pressure and repeated 2 to 5 times. The procedure takes about 15 minutes, and it is highly recommended to be repeated on the daily basis. 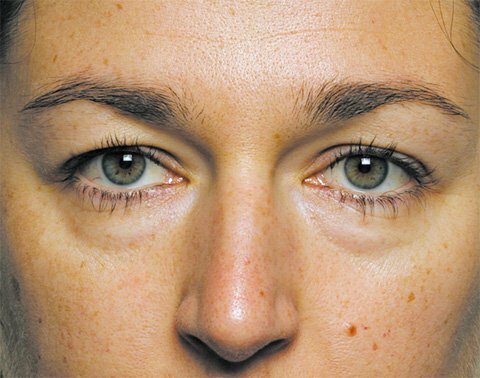 After such a procedure you will forget about bags under the eyes and your skin will be more elastic. Few of salon methods are mostly concentrated on pressure therapy. Pressure therapy represents pressure on certain areas of the body with compressed air. During such procedure you will be wearing special pants or boots. The equipment is looking like measuring pressure bandage. Under the pressure of compressed air blood accelerates and process of lymphatic drainage increase. Usually pressure therapy is applied to eliminate excessive water from hands, legs or feet. Micro current drainage is another technique of lymphatic drainage massages. Several electrodes are used and through them pulsed current is provided. Procedure is absolutely painless. This method is extremely effective for removal of extra weight by withdrawal of accumulated liquid. Vacuum lymphatic drainage massage technique is a bit similar to common treatment of cold or flu by medical cans. Special equipment (looking like medical cans) is used for this method. Principle of the remedy is as follows: pressure inside the cans is lowered and lymph flow, under the can is increasing it work. This process causes excess fluid to leave the body. Warning: Before you decide or try and implement this remedy you should consult with the doctor. This type of massage has plenty of restrictions. Pregnancy and diabetes are just few of them. Simple lifestyle tips will help to understand what should be done in order to prevent possible water retention in your body. Read through next advices and add these activities to your everyday life. Active lifestyle is always a step towards health. Move. Aerobic exercises contribute to the loss of water because they accelerate the blood and lymph circulation and push it back from limbs to the center of the body (to the heart and kidneys) and stimulate sweating, which helps to excrete water and salt. No need to run 10 km or have few hours of sweating in the gym, it is enough just to walk quickly every day. Pay attention to drugs you consume. Side effect of some drugs is swelling and water retention. Swim. Pressure of water can help to get rid of water retention. The hydrostatic power of water pushes fluid back into the blood vessels and kidneys. 30 minutes of water aerobics or diving into the water leads to significant urine output. Consult doctor. Women who tried diets and exercises but still experience accumulation of fluid before menstruation can be assigned to a short course of diuretics in small doses. Doctors do not give diuretics for long because of their side effects. Warning: Do not start to take any drugs on your own. Experiments with your health are dangerous for life.